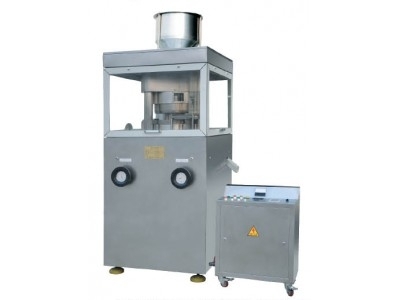 ZPS7B Rotary Tablet Press is a small tablet press for small scale production, and technical study in pharmaceutical, chemical, foodstuff and electronics industries. It serves as an important equipment to verify the pressing of tablets from granular raw materials. 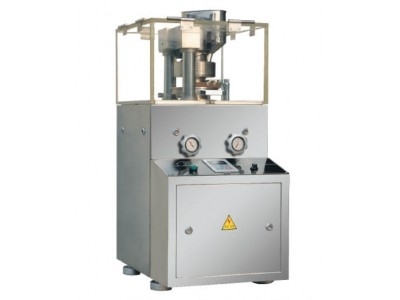 Difference: ZPS100-10C Tablet press can not only press 200g φ76mm tablets and 200g φ80mm tablets, ZPS100-10C can also press 250g φ76mm tablets and 250g φ80mm tablets; While ZPS100-10B can only press 200g φ76mm tablets and 200g φ80mm tablets.